On February 12th 2019, Ontario announced its proposed plan to reduce greenhouse gas (“GHG“) emissions, the Industrial Emissions Performance Standards Program (“EPS“). In this article, we take a closer look at Ontario’s new EPS plan, building on our recent analyses of unfolding Federal and Provincial climate policy. Ontario’s proposed EPS would apply annual emission limits on facilities, processes or equipment that emit GHGs. These emission limits would be different depending on the sector or industry.> Emitters would be charged for exceeding those limits, and be granted tradeable credits when they emit less than the limit. The EPS closely resembles Saskatchewan’s recently announced Climate Change Strategy, which rejects a carbon price in favour of flexible Output-Based Performance Standards (not to be confused with the Federal government’s Output-Based Pricing System (“OBPS“)). EPS also resembles the New Source Performance Standards regime implemented by the United States Environmental Protection Agency. Ontario’s EPS targets the same GHG-emitting sectors as the Federal OBPS and fuel charges. These include: (1) electricity, fuel, and energy sectors; (2) food sectors; (3) certain institutions; (4) certain chemical sectors; (5) metal, cement, lime and mineral sectors; (6) pulp & paper; and (7) vehicle manufacturing, among others. The EPS is ‘Sector-Based’, meaning that the emissions limit will vary by sector. Ontario has not yet determined these emission limits. Ontario has also proposed stringency exceptions for the electricity-generation sector and for natural-gas-based thermal energy generation. Emitters that fail to comply with their annual limit will be required to pay for ‘Compliance Units’ for each tonne of excess CO2. Ontario has proposed a cost for Compliance Units of $20 per tonne in 2019, increasing by $10 per year to a maximum of $50 per tonne in 2022. As we have discussed in previous articles, the Greenhouse Gas Pollution Pricing Act (“GGPPA“) (also called the “Federal Backstop”), is the Federal carbon pricing program. The GGPPA imposes minimum requirements on Provincial carbon pricing programs. Where Provinces fall short of the Federal standard, the Federal backstop will apply either (1) a charge on fossil fuels for fuel producers, distributors and importers or (2) an output-based pricing system for industrial facilities. Following Ontario’s termination of cap-and-trade, Canada has begun to apply its Backstop in Ontario. Assuming Ontario’s proposed EPS is enacted, Canada will reassess whether Ontario meets the Federal standard. However, Ontario’s EPS may not ward off federal intervention if it is considered less stringent than the GGPPA. If Canada’s approach to Saskatchewan’s performance standard is any indication, Canada has said that it will apply the GGPPA backstop in Saskatchewan “to the emissions sources not covered by Saskatchewan’s system”. Then again, Saskatchewan’s performance standards are more limited than Ontario’s, only applying to Saskatchewan’s largest facilities. The fate of the EPS and the Federal Backstop will also depend on the outcomes of both Ontario’s and Saskatchewan’s pending challenges to the constitutionality of the GGPPA. If the GGPPA is stuck down by the Courts, the EPS would stand. If the GGPPA is upheld, the EPS will be vulnerable to Federal intervention. Ontario’s proposed EPS presents an important regulatory consideration for any industry that emits GHGs. The scale of its regulatory demands will depend on how the Province sets the sector-specific GHGemission limits and the price of Compliance Units. Even if enacted, however, the EPS‘s fate is closely tied with that of its Federal counterpart, the GGPPA, whose constitutional validity is still pending. Government of Ontario, Making Polluters Accountable: Industrial Emission Performance Standards(February 2019), online: https://prod-environmental-registry.s3.amazonaws.com/2019-02/EPS%20Regulatory%20Proposal%20%28EN%29_0.pdf [EPS]. EPS, s. 3.1.1. An emitter’s annual emissions limit will be a function of its industry performance standard. An industry performance standard will be calculated by multiplying the average emissions rate for that industry by a “Stringency Factor”, as determined by Ontario. The latter factor represents the fraction of a sector’s average emissions that Ontario will permit in a given year. 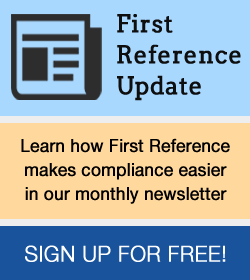 See New Source Performance Standards under Section 111 of the USA’s Federal Clean Air Act and 40 CFR Part 60 Regulations. GHGs other than CO2 will be quantified based on their equivalence to the ‘Global Warming Potential’ of CO2, as guided by Ontario’s pre-existing Regulations for Greenhouse Gas Emissions: Quantification, Reporting and Verification. 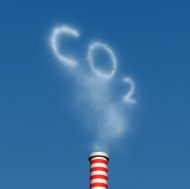 Government of Canada, “Saskatchewan and pollution pricing” (November 23, 2018), online: https://www.canada.ca/en/environment-climate-change/services/climate-change/pricing-pollution-how-it-will-work/saskatchewan.html.